Dried earthworms and ground-up earthworm powder, believe it or not, were (and probably still are) used in traditional oriental medicine. 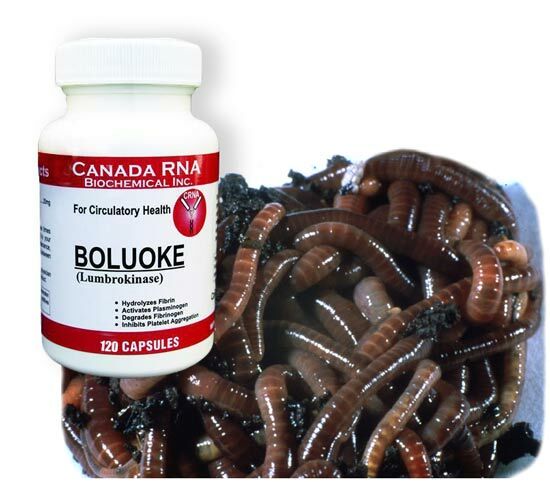 Today, Boluoke® is a product containing purified enzymes extracted from earthworms. Just like polyphenols in green tea, and curcumin in turmeric, the group of enzymes called lumbrokinase is now known to be the most valuable ingredients in earthworms. It is, currently, one of the most potent natural blood-thinners for those suffering from heart disease. This entry was posted in Holistic Dentistry, Natural Remedies by Admin. Bookmark the permalink.